OM5 Fiber has finally arrived! 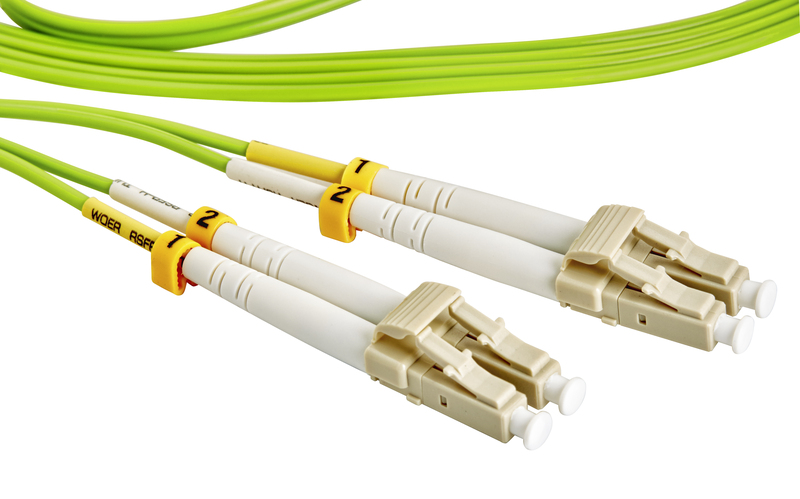 Cables.com has the latest standard in Fiber Optic Cables, available for quick shipment. Please let us know if you need any other configuration. As per Belden, a manufacturer, OM5, the wavelengths increase each fiber’s capacity by at least a factor of four (there’s either a fourfold data-rate increase or a fourfold reduction in the fibers required to achieve a given data rate). The signals are sent down one fiber over four separate operating windows.